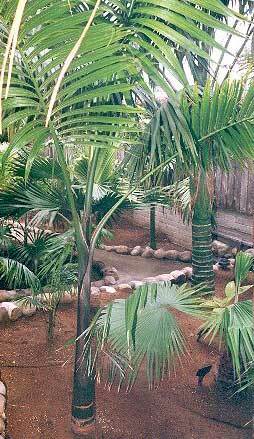 Description: A very attractive rare feather palm with a slender trunk. Has two forms, one the standard green, while the other has a very distinctive reddish tinge. Becoming more popular as a garden palm.